Hello! I put together a document about making bumpers to help our team document the process and thought it may be useful to other teams as well. It goes through pros and cons of materials selection and various ways of making bumpers. It also explains how to make different types and some quick fixes for competitions. This is not an official document or anything. A second version will be created later with more photo heavy step by step instructions but I wanted to put this out there now while teams may be starting to make their bumpers. If you have any comments or suggestions, let me know! A document about making bumpers. It goes through the pros and cons of various materials used in making bumpers, how to make different kinds, and common quick fixes for competitions. How to wrap bumpers around the corner? This is a pretty awesome guide. If you need more sample images feel free to use ones from our gallery, we have hundreds of teams. In addition I can’t recommend using these slide-snap latches enough. Multiple teams have been using them since Neutrino #3928 started it a few years ago I believe. 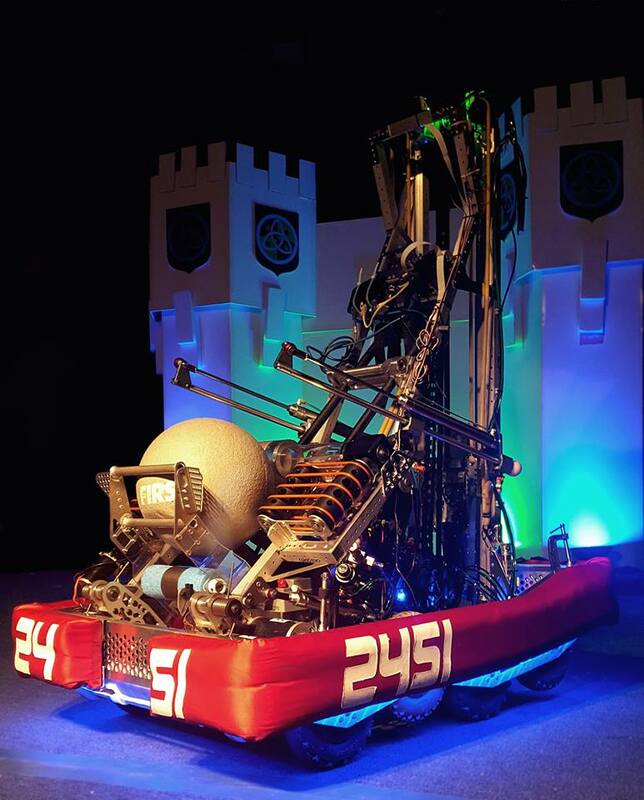 Here is a photo of 1296’s robot with them. Here is a photo of our 2017 robot as well with them installed. Just in case you were wondering how much of an expert she is: Kelsey is the real deal. The 3928 bumpers in 2012 were no joke and ALL Kelsey. Not to mention some of the other other teams she’s worked with. If you’re looking for some more helpful bumper tips, you can check out bumper school: http://www.robopromo.com/category_s/1825.htm! This has some great tips and solutions to common bumper challenges. This is a great compilation of all sorts of bumper information for all teams to use. I’m sure this will help teams as they are designing their bumpers. Thanks for taking the time to put it together and post it for the whole community. One addition is that when working with nylon or Cordura, a hot knife will sear the edges as it cuts. This reduces the likelihood of fraying. A simple wood burning tool can be used as a hot knife. This can be useful for cutting your team numbers from white nylon or Cordura. Commercial companies that work with nylon or Cordura have laser cutting tables. The laser also cuts with heat which sears the edges and reduces fraying. If you can get access to a smaller laser cutter, you can use this to cut smaller parts for your bumpers, including team numbers from white fabric. These can then be sewn onto your bumper fabric before assembling your bumpers. Those slide latches are a great find. Turns out McMaster has them as well. They are going on this year’s robot for sure! Thanks! The McMaster latches are about triple the cost and they are stainless instead of regular steel. We tested with the McMaster ones but moved to these after. The smaller laser cutters (such as our 30W Epilog) that many schools may have for engineering courses can also be used for heat transfer vinyl and vinyl stickers in general, making for some clean bumper numbers and sponsor stickers. Cutting vinyl on laser cutters is risky due to the PVC* content in most varieties of vinyl. One can find PVC free vinyl, but they need to actively look for it. I’m only nitpicking on this because PVC is really bad for the laser. *PVC can be cut with a laser but the thermal process produces hydrochloric acid and toxic fumes. For this reason, it is advised you not cut PVC with laser cutters in order to prevent corrosion of your laser system and to ensure the safety of the user. Those slide latches are a great find. Turns out McMaster has them as well . They are going on this year’s robot for sure! Thanks! Yeah, we bent a few McMaster ones last year & went back to nuts on threaded posts. As long as you have a dedicated “bumper nut driver” drill - life is good.